I think those observing the WBC competition this year will have noted that blends have gradually become less complicated and often now have far fewer components than they might have contained in the past. There has been a real movement towards allowing the coffee to do the talking with signature drinks, presentation and blends becoming simpler. This has to be applauded. This is me, clapping loudly. But mostly I want to see more single-origin espresso coffees as an antidote to the sameness, the blandness, the carefully measured and highly reproducible mediocrity that so very many commercial espresso blends strive for. And if you think I’m calling out Illy and LavAzza and their ilk, well… you just might be right. Meanwhile, good on you Steve! 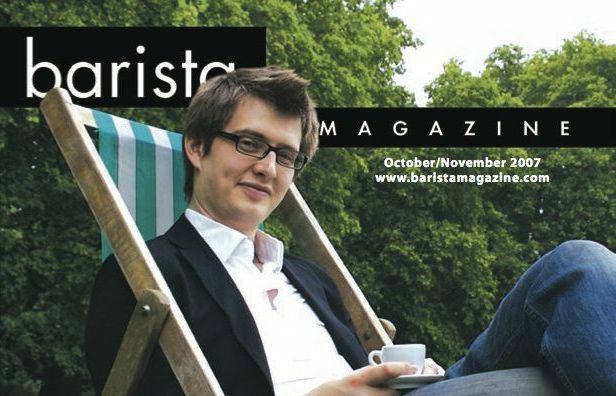 And you, dear reader, go get yourself a copy of Barista magazine. There’s fine stuff in there. 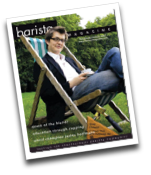 Look for the issue with a very relaxed-looking James Hoffmann on the cover. Thanks for the kind words and support, I loved writing the article, I’m just pleased people are now reading it, and not hateing the message. What’s to hate? It’s equal parts coffee-forward and common sense. My naive fascination with oh-so-complicated coffee blends was smacked into the common sense realm by a simple statistics lesson Barry Jarrett gave me years ago, to wit: the more complex the blend, the less likely it is that the blend you intended ends up in any given cup of it that’s consumed. You wouldn’t believe some of the negative responses I’ve gotten to the article. Although on the whole most have been positive like yours, some fold really don’t like it or the idea of single origin espresso. And very true words from Barry for sure.